Freezing – You Asked It! What is a Thawing Tray? If you forget to plan ahead for meals, you will likely have frozen meat to use, but not enough time. One gadget on the market intended to help speed the thawing of frozen meat is a thawing tray. This is made of a metal and is supposed to thaw frozen meat in minutes. But this may not always be successful. It will depend on the type of metal, the metal thickness, the thickness and how flat the piece of meat is, and how often the meat is flipped over for even thawing. In the end, this may not be a good buy. Plan ahead and thaw meat in the refrigerator or in cold water, in the microwave or as part of the cooking process. Learn more about safe defrosting methods at https://bit.ly/2fJ3LZ4. To save time during the holidays, or any time of year, prepare yeast dough ahead of time and freeze into dough balls for rolls to bake later. The trick is using a dough with extra yeast because slow freezing can damage yeast. According to Fleischmann’s Yeast, it is best to use dough recipes developed for freezing. These recipes are high in yeast and sugar and low in salt. It is recommended to use bread flour to help maintain bread structure. After preparing and kneading the dough, shape into rolls or flatten into a disk and wrap airtight. The dough can be frozen up to four weeks. When ready to use, thaw at room temperature or slowly in the refrigerator. Once thawed, shape, let rise, and bake as directed. 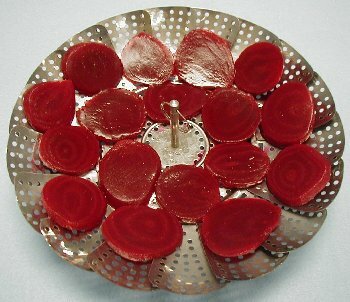 Freezing food is an easy way to preserve high quality food with maximum nutritional value. But food in the freezer doesn’t last forever as changes will occur during storage. Freeze food as soon as possible after harvest to stop chemical compounds, called enzymes, that cause deterioration and spoilage. Enzymes are naturally in foods and must be inactivated to stop loss of color and nutrients, as well as flavor changes. Blanching vegetables is an important step to inactivate enzymes. In fruit, color changes are prevented by using pure ascorbic acid (vitamin C) or a commercial ascorbic acid mixture such as Fruit Fresh®. 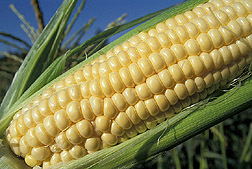 Because of high water content in fruits and vegetables, texture changes occur. Water expands when frozen which ruptures food cell walls. Freezing food quickly will help reduce texture damage. Don’t overload the freezer with unfrozen food and keep the freezer as cold as possible, at least 0°F or below. Over time, food loses moisture during freezing which leads to freezer burn. Use packaging designed for freezing to reduce this problem. Freezing does not kill bacteria, it only slows it down. When food thaws, any bacteria present will become active again. Always inspect food and packages carefully before use. 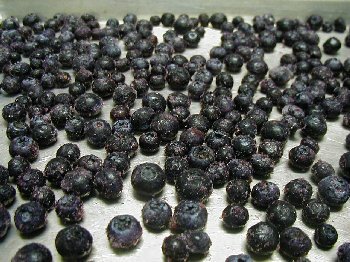 The best frozen fruits for jams or jellies are blueberries, red and black currants, gooseberries and rhubarb. Before freezing fruit, measure the fruit and label the container. Many fruits collapse as they thaw and may create an inaccurate measure. 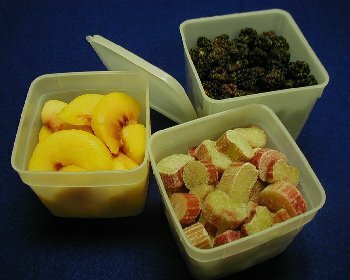 Jams and jellies from frozen fruit and juice are better if no sugar is added before freezing. When freezing fruit for jelly or jams, use 1/4 under-ripe and 3/4 ripe fruit. Thaw frozen fruit in the refrigerator until only a few ice crystals remain. Follow directions for the type of jam you are making and follow the recommended proportions of fruit (measured before freezing), pectin and sugar. When making jelly from frozen juice, thaw frozen juice in the refrigerator overnight. Measure juice and use it immediately in recommended proportions with sugar and pectin. The debate continues as to which fruits and vegetables are nutritionally better for you as in fresh, frozen or canned. Many people struggle to find fresh produce. So what choices are available for best nutritional value? A recent study looked at fresh, fresh-stored, and frozen fruits and vegetables. Fresh-stored is defined as fresh produce stored at home for five days. Frozen produce is commonly viewed by consumers as nutritionally low. This study evaluated three nutrients in a variety of produce. They included vitamin C, provitamin A, and total folate. In the end, there were no significant differences in a majority of the comparisons. But, in some cases, the fresh-stored foods had lower nutrient values. Frozen produce had significantly higher nutrient values. In the end, minimal storage time of fresh produce will help retain nutrients. Frozen foods are a tasty, and even more nutritious choice, and for some foods, available year round. Fall hunting season is quickly approaching! Venison offers variety and an unusual flavor to the fall and winter table. When handled properly it can make an excellent meat. It can be refrigerated or frozen as meat cuts or sausage. 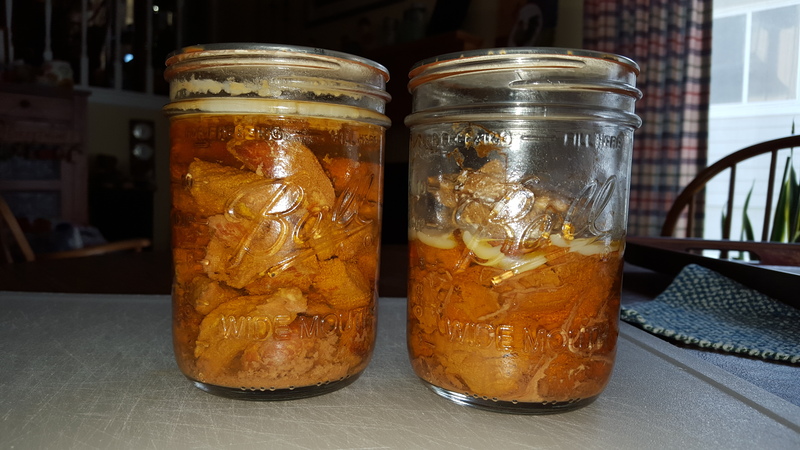 It can also be preserved by canning, curing, or drying. The following resources can help you get your supplies ready and help you decide which method is best for your family. Enzymes are a natural component of food. They work inside food and can change flavor, texture, color and nutrition. Blanching stops enzymes and protects the food from quality changes. Most vegetables need to be blanched before freezing to inactivate enzymes and protect their quality. This is done by water or steam blanching. Can blanching be done in the microwave? Using the microwave may produce poor results. Due to uneven heating, the microwave may not completely inactivate enzymes. This results in off flavors, poor texture and loss of color. The microwave does not save time or energy. For best results, use water or steam blanching. Learn more about freezing at www.rrc.k-state.edu/preservation/freezing.html. Pumpkins offer far more than a door-stop at Halloween. 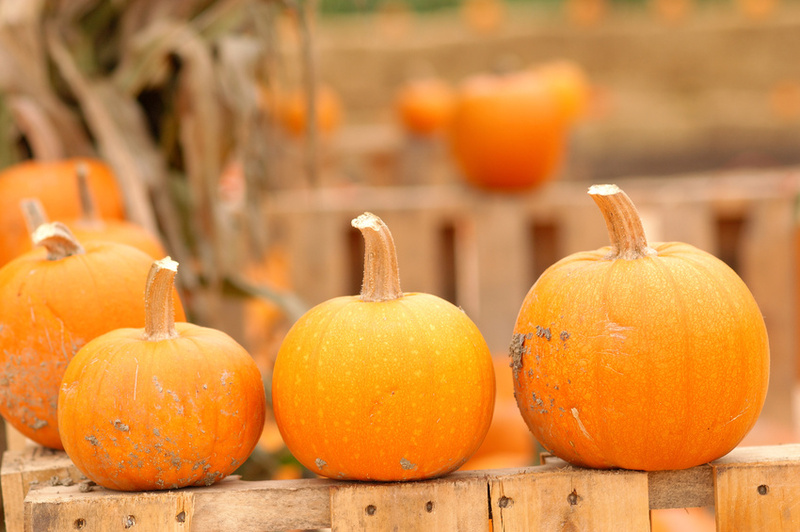 Think safety when planning to preserve pumpkins. Pumpkin is a low acid vegetable and requires special attention to preparation and processing. The best way to preserve mashed pumpkin or winter squash is freezing. For more tips on preserving pumpkin, including freezing, drying and pickling, see http://nchfp.uga.edu/tips/fall/pumpkins.html.